The second of four IMSA race weekends where Jeff Westphal is pulling double duty, racing for his full season team, Carbahn/Peregrine Racing in the IMSA Michelin Pilot Challenge GS category with the Audi Sport R8 LMS GT4, as well as his endurance commitment with Scuderia Corsa and Weathertech Racing in the Ferrari 488 GT3 in the North American Endurance Cup was held at the historic Sebring raceway. Friday, March 15th was the start of the Sebring 120 in the Audi, where Westphal and team mate Tyler Mcquarrie looked to rebound from the heartbreaking finish in round 1 at Daytona when the #39 R8 GT4 LMS had to stop for a splash of Fuel on the last lap from 2nd place, ultimately finishing 16th. “We were supremely motivated, not that we casually go about our jobs regularly, but the way Daytona ended up we had an extra fire to bounce back.” Explained Jeff. Tyler Mcquarrie qualified the #39 3rd, and when the green flag dropped on the 2 Hour race, he got the jump on the opposition and slotted into 2nd by the first corner. Later that opening lap, he found a way past the #46 AMG that is 2018’s champion before a full course yellow came out from some contact further back in the field. 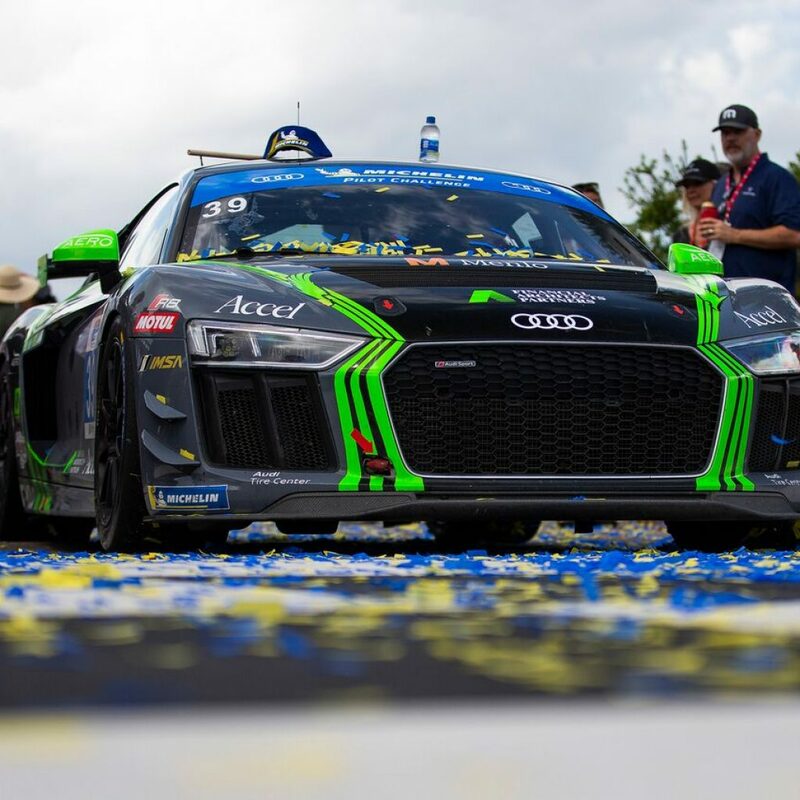 After the race went green again, Tyler maintained his lead for his entire stint, pitting from the lead to hand the Audi R8 over to Westphal for the final hour and ten minutes. The pit stop was executed flawlessly by the Carbahn & Peregrine Racing crew, so Westphal left pit lane with the #46 AMG right on his tail. During the outlap, Westphal managed to pull a 1 second buffer to the 46, and Jeff never looked back. He had some pressure after a restart from a Mclaren for 6-7 laps, as he and the 69 Mclaren 570 GT4 gapped the field, but Westphal’s care of his tires during that time allowed him to have better tire degradation (wear) over the #69 of Lazare. This would be the first win for Westphal/Mcquarrie In Michelin Pilot Challenge, as well as Carbahn/Peregrine, and Audi in the top category of GS. Along with that, Westphal and Mcquarrie bolstered their points haul for the championship with the win, and are provisionally in 3rd for the season title. Fast-forward 24 hours, and the sun was rising on the 67th Annual Sebring 12 Hours. 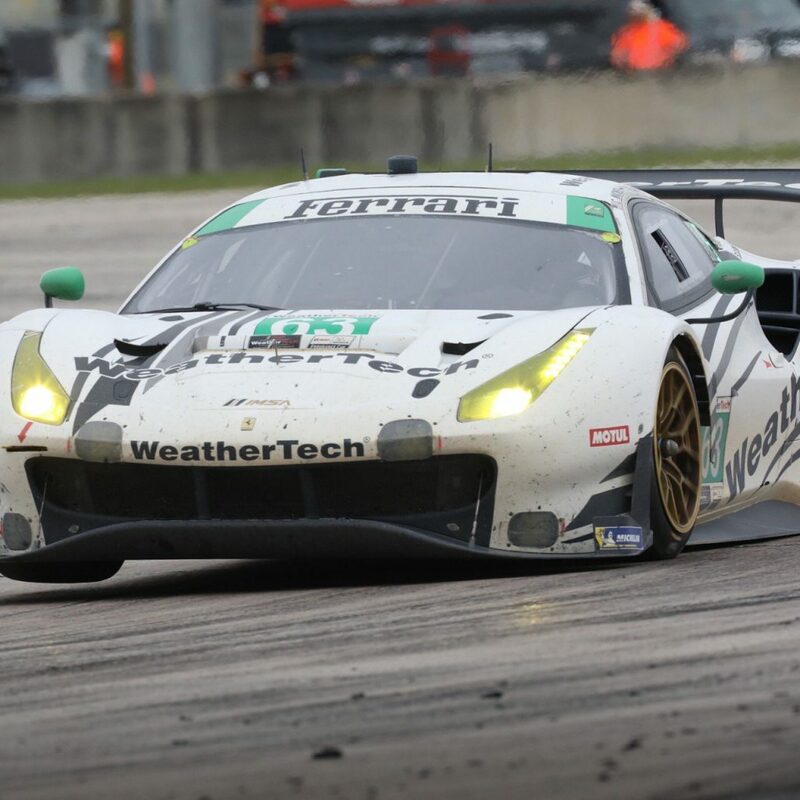 The #63 Weathertech Ferrari 488 GT3 was 7th on the grid for the light to dark race, and typical central Floridian weather made its presence known with a huge rain shower in the few hours preceding the start of the race. Enough moisture came down that the race was started officially under yellow due to standing water concerns. Westphal, Macneil and Vilander weathered the storm as it was destined to dry out eventually, and kept the Ferrari competitive and out of trouble while slowly creeping towards the front of the pack. As the hours rolled by, the #63 Scuderia Corsa Ferrari ran flawlessly, and the handling of the car was improving as the temperature was dropping into the early evening. With 4 hours to go it was a relay race style of stints for Vilander and Westphal, both driving the car further up the grid into the top 2 spots. Ultimately due to fuel strategy the #63 was the leading car of their strategic choice from hours prior, while there were 3 other cars on an alternate strategy whom currently occupied 1st-3rd position. With a late yellow, and some hard fought racing, the #63 Ferrari finished 3rd, scoring its 5th podium in a row for Scuderia Corsa at Sebring, and a valuable points haul for the car after a tragic wreck in no visibility conditions late in the going at the Daytona 24 HR (round 1). This made for the second podium in 2 days for Westphal, and his first podium of 2 attempts at the Sebring 12HR. “I really am at a loss for words, the effort level, preparation, personally and inter team for both of these events is massive, so to walk away from the weekend with these two results, I am proud, fulfilled, exhausted, and pleased all at the same time. Of course, there are partners that make all of this possible and I wouldn’t be here without them. 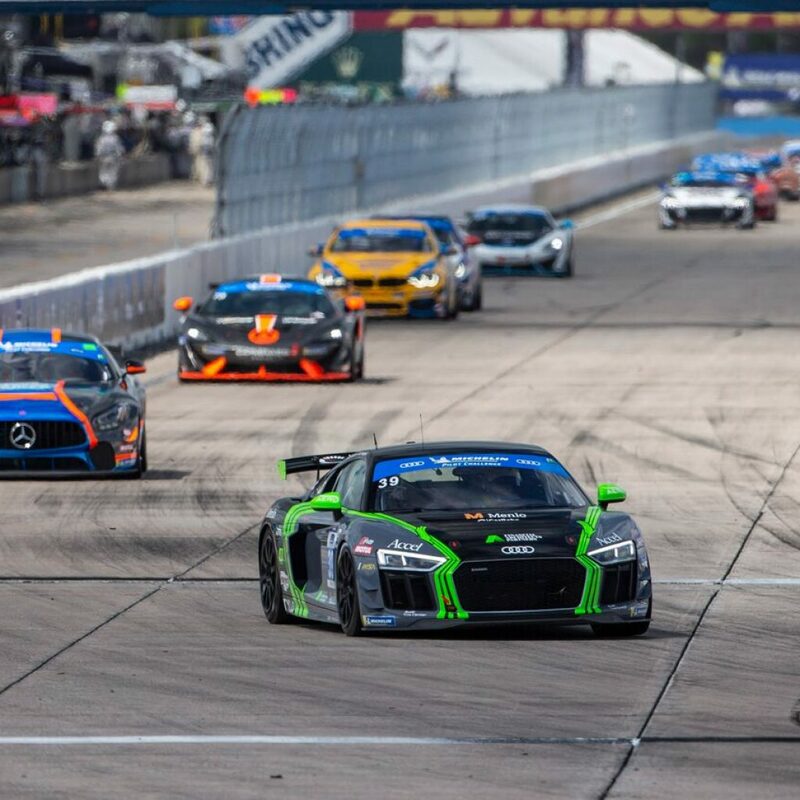 As well as my team mates, they all drove phenomenally well, keeping both cars clean in both separate races at a track where it’s easy to get caught in a mess.” Elated Westphal.